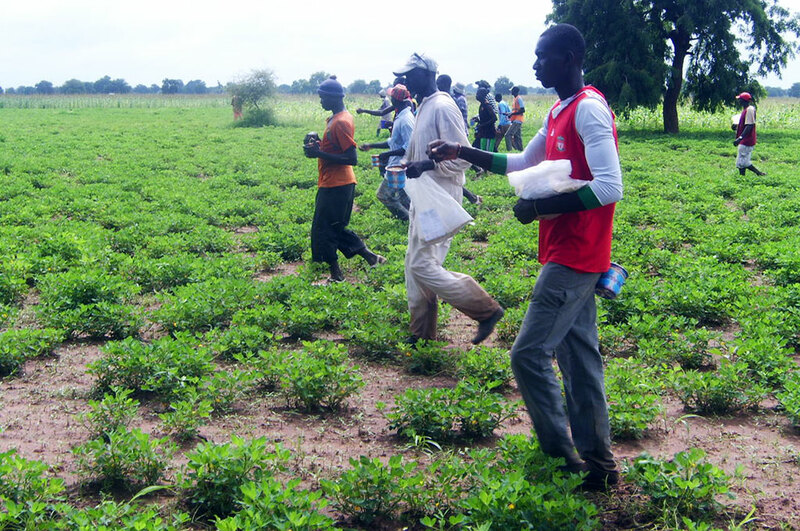 Aflasafe SN01, a new biocontrol technology that protects grains from aflatoxin in the field and after harvest, was approved for full registration by Le Comité Sahélien des Pesticides (CSP) of Comité Inter-Etate pour la Lutte contre la Sécheresse au Sahel (CILSS) in its May 2016 meeting. The Aflasafe team in The Gambia celebrating the approval of the Aflasafe registration. With this registration, Aflasafe SN01 can now be used for aflatoxin control in maize and groundnut in the 12 CILSS member states (Benin, Burkina Faso, Cape Verde, Chad, Côte D’Ivoire, Gambia, Guinea Bissau, Mali, Mauritania, Niger, Senegal, and Togo). This provides farmers an effective tool for tackling a menace which poses serious dangers to human health and is inimical to farmers’ livelihoods. However, since only native strains are used in Aflasafe, commercialization of Aflasafe SN01 for the moment will happen only in Senegal and The Gambia. This is the third registration of Aflasafe products in Africa with Aflasafe™ registered in Nigeria in 2014 and Aflasafe KE01™ registered for use in Kenya in 2015. The IITA Business Incubation Platform (BIP) is the registrant of the product. This year, the Société de développement et des fibres textiles (SODEFITEX), an agribusiness enterprise, imported 40 tons of Aflasafe SN01 from IITA, Nigeria, for use in Senegal. It also imported 8 tons in 2014 and 16 tons in 2015. The National Food Securrity Processing and Marketing, formerly Gambia Groundnut Corporation, is importing another 20 tons for use in The Gambia. These two companies will provide Aflasafe SN01 at cost to their consituent farmers to make groundnut and maize meet aflatoxin standards. SODEFITEX has expressed the desire to manufacture and distribute Aflasafe SN01 in Senegal to reduce cost of importation. IITA will license the product to SODEFITEX and together with USDA-ARS help set up an aflasafe manufacturing plant as well as assist the company in manufacturing, distribution, and marketing of Aflasafe in Senegal. Aflatoxin has become a huge constraint to groundnut export to the European Union market as in both Senegal and the Gambia contamination is beyond the regulatory limit (4 parts per billion). At the same time liver cancer in relation to aflatoxin contamination in the Senegal peanut basin has become a public health problem that needs to be addressed. Aflasafe SN01 reduces aflatoxin contamination in maize and groundnut by more than 80% at harvest, after storage, in oil and in oil cakes. 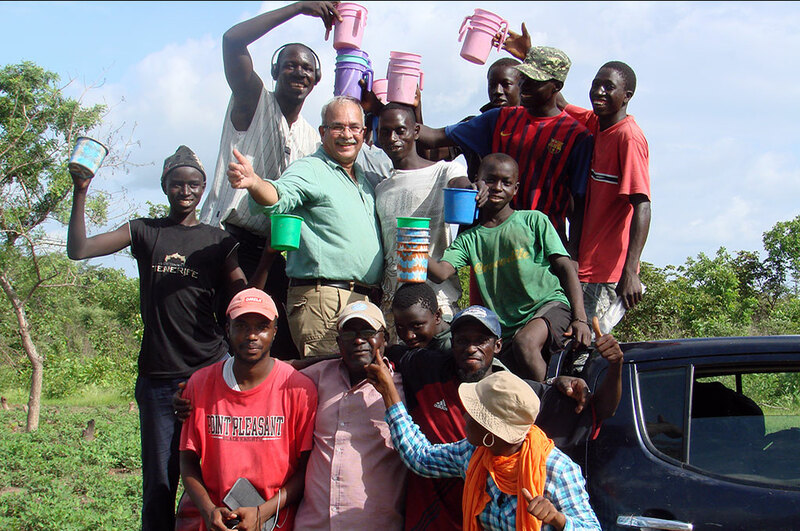 Aflasafe SN01 was developed by IITA, USDA-ARS, and DPV in partnership with several public and private sector organizations in Senegal and The Gambia. The initial strain selection work was done by Papa Madiallacke Diedhiou of the University of Thiés. 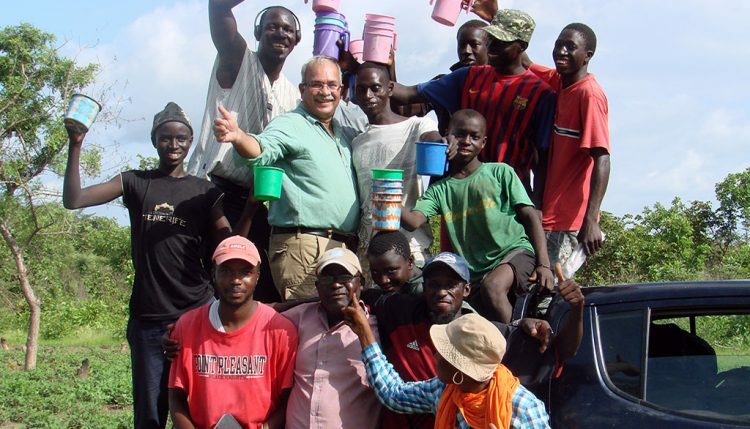 Senghor, who has been championing Aflasafe SN01 in Senegal and The Gambia, was instrumental in getting support from the governments, farmers, and industry. He has worked tirelessly on testing the product in thousands of farmers’ fields during the last 5 years. Dr Joseph Atehnkeng, former Aflasafe country manager in Nigeria, now based in Malawi, also helped in the process, with Dr Alejandro Ortega-Beltran, Plant Pathologist, and Engr Lawrence Kaptoge, Aflasafe process engineer, BIP, IITA, Ibadan. The development of Aflasafe SN01 was funded by the USDA-Foreign Agricultural Service, African Agricultural Technology Foundation, International Fund for Agriculture Research, and the CGIAR Research Program on Agriculture for Nutrition and Health. The registration of Aflasafe SN01 paves the way for its unhindered use for the benefit of health and trade in the two countries.